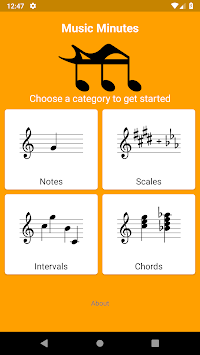 Music Minutes helps you improve your music theory ability. 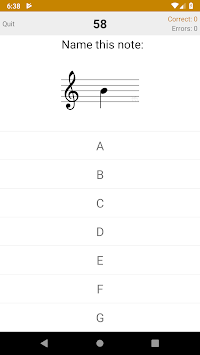 Music Minutes is designed to help you know music theory as fast as possible so you don't have to think about it during a performance. Each Music Minute consists of a small lesson followed by a 1 minute drill to practice what you learned. Earn stars to measure your progress and watch your musical speed increase. Enter notes on a piano and hear the sounds as you play the correct notes. 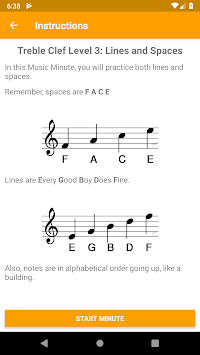 2) Major and minor scale identification, as well as naming notes in each. 4) Triad and seventh chord construction. There are 138 total lessons and drills! Now you can use a piano to input notes!